Parents, are you looking for a safe environment to entertain your kids on those hot summer days? 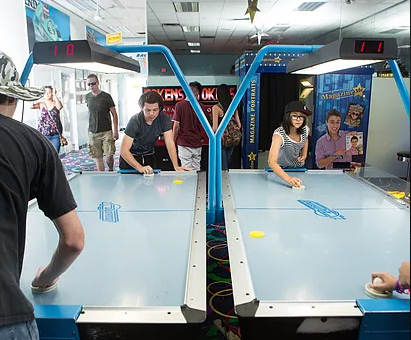 Las Vegas Mini Gran Prix has everything you are looking for in an arcade experience, from classics like air hockey and skee ball to the latest high-def arcade games to thrill the senses. With so many to choose from, we have games that will appeal to kids of all ages. Whether you book a birthday party with us or simply come out to enjoy a day with friends, you’ll enjoy hours of fun. Our arcade includes a fun mix of retro favorites and some of the newest games available! We are constantly rotating our selection, so it's likely we have something new since the last time you joined us. 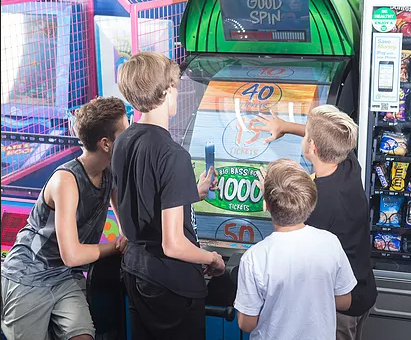 From traditional skeeball and basketball games that appeal to teens to simple ticket games that are great for our younger guests, the LVMGP Arcade will keep a smile on your face, rain or shine. Our expanded ticket reward center has a great variety of prizes, both big and small. You can redeem the tickets you’ve won from the games you’ve played and pick the prizes you like! 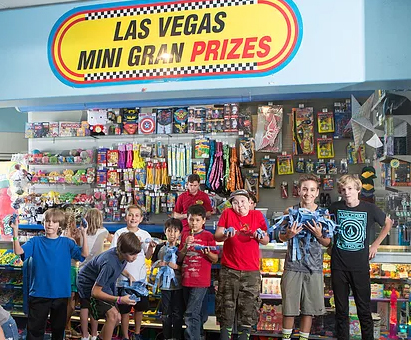 At the end of the day, you’ll have had a great time and get to take home some great mementos of your visit to the Las Vegas Mini Gran Prix Family Fun Center! My twins love this place! and honestly my husband and I love it just as much! It's fun for the whole family! it's become a monthly tradition for us, we come love the food, the Italiano sandwich is a must have! then we play some air hockey, some arcade games and then off to go karting!